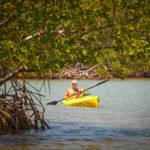 Experience Fort Myers on a narrated Caloosahatchee River eco, sightseeing tour. Enjoy an exciting 90-minute river cruise on Pure Florida’s M/V Edison Explorer. 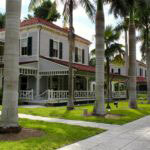 Enjoy views of Edison & Ford Winter Estates and downtown Fort Myers. Observe dolphins, bald eagles, manatees, mangrove forests, and bird rookeries. Food and drink not included, but passengers are welcome to bring snacks and non-alcoholic beverages on board. 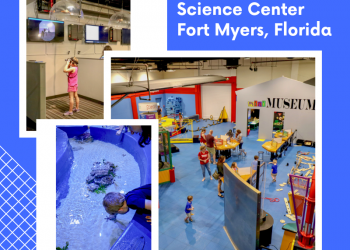 Read Pure Florida’s featured blog article – click here! 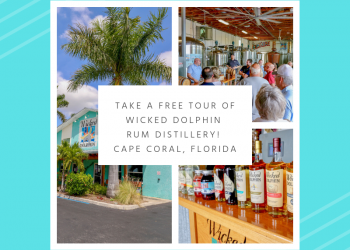 Save on your Fort Myers Caloosahatchee River cruise – save and PRINT coupon below! A certified captain, naturalist, and historian onboard will share the history of the Caloosahatchee River and Edison Ford Winter Estates where Thomas Edison and Henry Ford spent many winters. Pure Florida sightseeing cruises are fun and educational for all ages. The boat provides ample sun and heat protection with 70% of the vessel under cover, but it’s always a good idea to wear sunscreen in Florida, and especially important when on the water. Cruises depart from The Marina at Edison Ford. Sunset cruises are also offered daily. 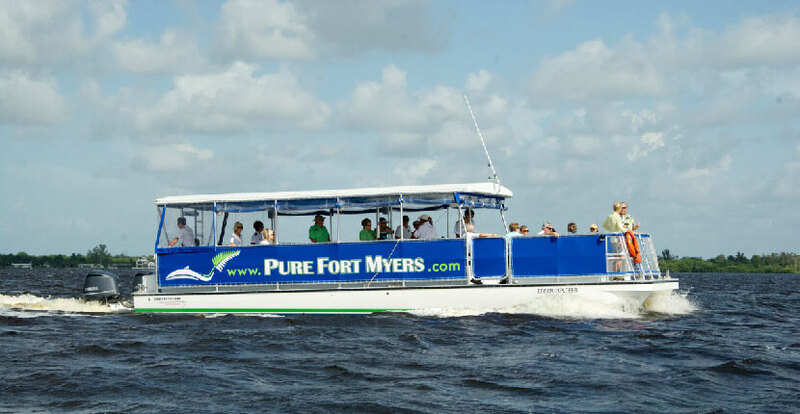 Visit Pure Florida’s website to view their Fort Myers cruise schedule. 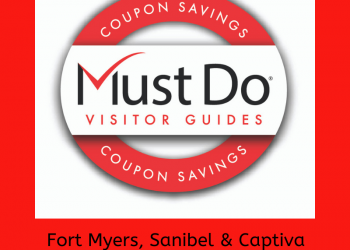 Present this coupon to receive $5.00 off per couple on any Pure Florida river or sunset cruise. See vendor for details. Restrictions apply.